This is me and my friend Jimmy, hes an older gent in his 70s from Florida who works in the Bridges for Peace food bank. 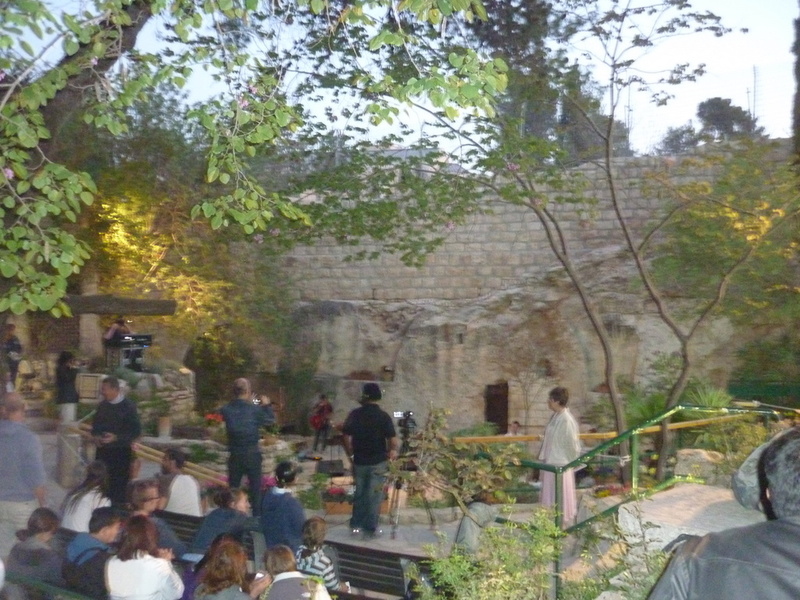 We got up very early to get to an Easter service at the Garden Tomb, there must be 1,000-1,500 people there, and the worship band was made of people mostly from my church but a few others as well. Getting their early meant we got a seat close to the front, hence doesn’t look that packed…. Its a real privilege to be spending this special day in a place most likely to be thought where the world’s shortest required grave ever. 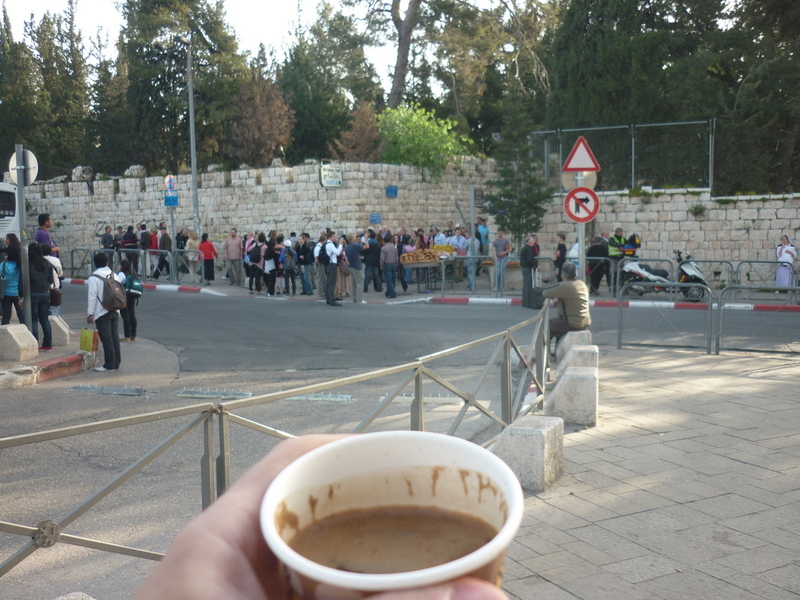 Not seen this before, but Jimmy pointed out to me a kiosk with an Arab gent that does very nice Arabic coffee for a bargain price of 5 Shekels (85p – half what you pay in usual places in town) So this was a nice way to get prepared for the rest of the day as I ride 4 miles back across town to my flat. The folks coming out of the alley way where the garden is didn’t seem to notice this place, I think he deserves more business. 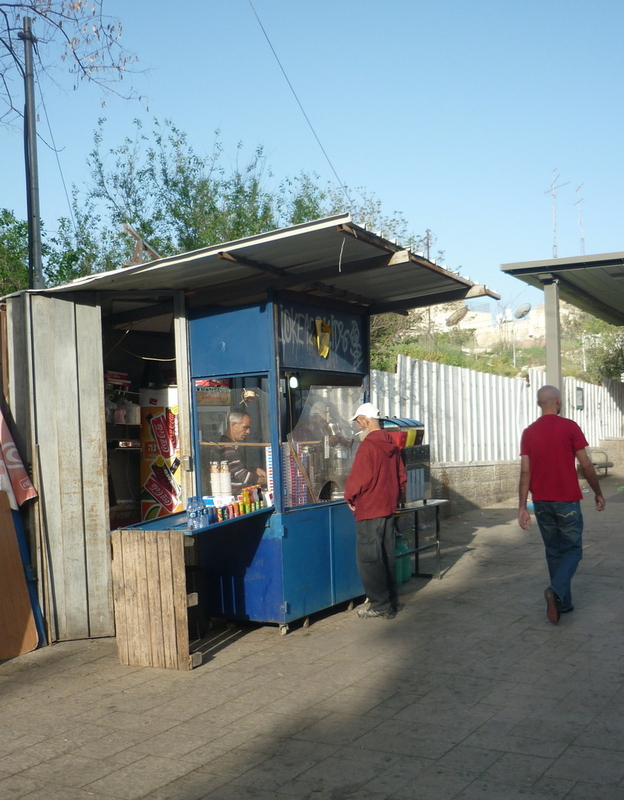 I think he mostly sells coffee, orange juice and cigarettes to people getting on the Arab buses which are heading to Ramallah, Nabulus or the other Palestinian cities. 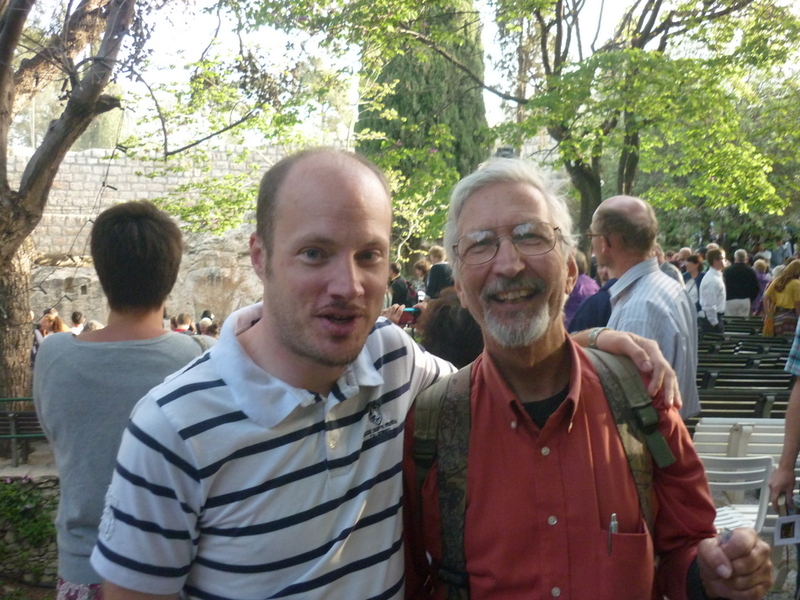 I wrote on easter here in Jerusalem when I went last year also.